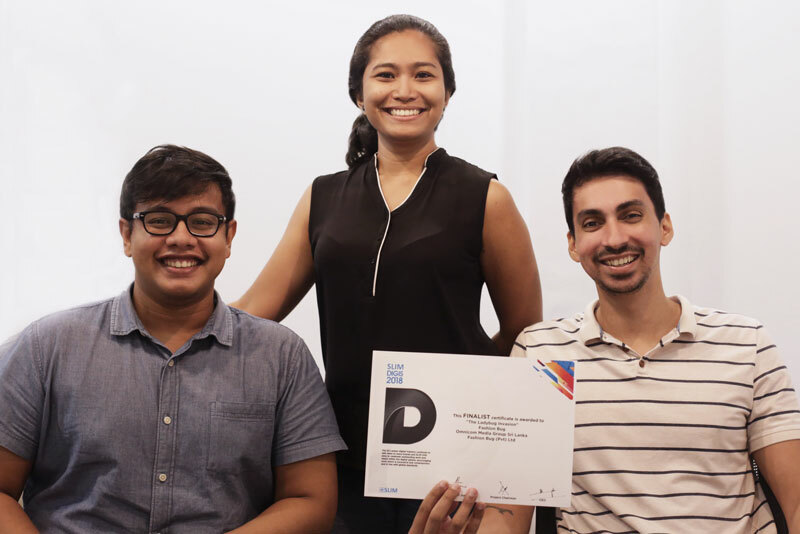 Omnicom Media Group Sri Lanka’s digital arm, OMG DIGITAL was recognized as a Finalist at the inaugural SLIM Digis, the recent Digital Awards organized by the Sri Lanka Institute of Marketing. Entering the competition under the ‘Retail (Fashion/ Consumer Electronics) – online and offline’ category, OMG’s ‘The Lady Bug Invasion’ campaign for Fashion Bug, one of Sri Lanka’s leading fashion retails, was one of the 5 nominations. The objective of the campaign was to create hype for the entrance of Fashion Bug into Wellawatte. Being the hub for clothing, especially shalwars and saris, the locality is peppered with long standing fashion retail outlets. Rising to the challenge of creating a memorable launch, the agency created an activation-led digital campaign with people dressed up as lady bugs engaging at key places around the location as a teaser. Not limiting to this, OMG DIGITAL used 3D mapping to create mixed reality teasers that showed virtual lady bugs interacting with iconic landmarks in Wellawatte. Together, the executions created high engagement within the community prompting views, shares, comments and brand mentions. As a result, the launch of Fashion Bug Wellawatte recorded the highest number of footfalls at an opening across their chain, as well as a record breaking sales value within the first week of the launch. “This is a win for Omnicom Media Group Sri Lanka as well as OMG DIGITAL since ‘The Lady Bug Invasion’ was completely digitally driven. When the client briefed us on a campaign for a branch opening it was an opportunity for us to think beyond the usual and step away from the traditional media platforms. Unlike other campaigns that enjoy the contribution of a creative agency, ‘The Lady Bug Invasion’ was singularly driven by OMG DIGITAL, from ideation to execution. The recognition at the SLIM Digis is therefore a proud moment for us”, stated Jason Wijesuriya, Head of OMG DIGITAL.